I am the consciousness of the Creator. 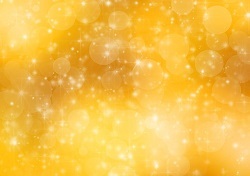 I am the golden energy that beams from the Creator's mighty soul onto and into all of creation. I am the high vibrations, the loving energy and I wish to connect with you now. I am an energy that is invisible to most but can be felt and sensed by all. I am the love that swells within your heart and soul that brings bliss and peace to your mind and emotions, nurturing the strength of your soul. I, the Christ consciousness have been in existence on the Earth and within the Creator's universe before the beginning of the Earth. My energies are built into the foundations of the Earth, the Earth and its humanity cannot exist without my loving energy as I am the essence of the Creator. The Christ consciousness is a source of love but it is also a way of existing by accessing your truth and the truth of the Creator, drawing it into your being to be expressed into your personality. When love doesn't exist then pain, hurt and loneliness can be experienced, these are depressing energies that allow you to sink into the love vibrations of the physical dimensions. The Christ consciousness will hold you, lifting you higher so that you may fly through the high vibrational dimension experiencing love, integration, wholeness and a unity with all. Separation is not the way that the Creator wishes you to live your life and this is why the energy of the Christ consciousness is integrated and channelled constantly onto the Earth. The Christ consciousness is a way of life; it is an understanding that inspires you to exist as your divine on the Earth which is essential for any type of spiritual growth process. I am the consciousness and awareness of love, I anchor into your being when you ask and invoke me to, emanating golden light into all aspects of your being. My energy is healing, uplifting, inspirational and comforting. It has the power to dissolve all negativity from within your being and to bring calmness, balance and harmony to your energy systems. My energy melts into emotions transforming them into love so that they may positively fuel your life and mood. My loving golden energy is named a consciousness because it acts as an awakening offering a realisation and a comprehension of the purest vibration of love that alerts all senses and all actions to embody and express love. It is within the mind that the Christ consciousness holds a great power and can transform your life and existence on the Earth. The loving energy integrates into your mind eliminating all negative thought patterns and beliefs while encouraging loving positive thoughts to be created and experienced as manifestations within your reality. This naturally brings peace and a greater sense of fulfilment to the personality as you feel as if you are beginning to master your being, living in the greater happiness of love. A love that is sacred and precious as it is the unconditional love of the Creator's mighty soul. To act lovingly, respectful and to honour the divine within your being and all of humanity is to embody the Christ consciousness. Everyone has vast sources of love within their being and this loving energy is released in glimmers by those even who are unaware of my existence but as spiritual light workers you must always be aware and it is appropriate to work constantly with my energy, invoking it to anchor deeper into your being with every day you exist on the Earth. Allow the golden light to flow into every aspect of your being. It will be emanated through every particle in your body and as a vast beam of light from your heart chakra. The Lord Maitreya, who is the most integrated being of light with the Christ consciousness at a planetary level, walked the Earth as Jesus Christ towards the end of his life. He was a beacon of love for all to experience and anchor into their beings. It was not the words that were spoken but the energy that flowed through his being unconditionally and devotionally to others from his soul, heart chakra and entire being. Jesus Christ was named so because he was able to truly access the Christ consciousness and anchor it onto the Earth. There have been many who have walked the Earth in a state of openness of sharing and channelling love throughout their being into their realities and surroundings. I ask you now to accept the energy of the Christ consciousness and to allow it to channel as an eternally and unbreakable energy through your being. Allow yourself to act as an anchor of love on the Earth for the Creator. You may pray to my energy, to the Creator or Lord Maitreya who governs my energy asking for a continuous flow of light to be constructed to flow externally as a natural channel throughout your being. The energy will enter into your crown chakra at the top of your head and flow into every aspect of your being, nurturing and cleansing your being to begin with, then transforming you into a beacon of love. This is your truth; it is your natural existence and an aspect of your mastery and ascension. You may call on my energies whenever you wish to but it is important to create a constant channel of the Christ consciousness to flow into your being, by simply asking during meditation. I am the Christ consciousness and I invoke the Christ consciousness overseen by Lord Maitreya to flow into my being now. Please create a continuous channel of love that is eternally active and lovingly influential within my being, spiritual growth process and reality on the Earth. I am ready to accept the loving energy of the Creator and to embody its energy within my being. Please activate the love of my soul so that the Christ consciousness and my soul's loving energy may be united and expressed from my being as one. Allow me to act as an anchor of the Christ consciousness on the Earth. Let it be. The ascended masters are drawing on the Christ consciousness and anchoring it into the Earth now to create the Age of Love which will allow love to truly manifest in the hearts of many and materialise into their life experiences. To anchor the energy of love onto the Earth is to make way for the presence of the Creator's truth. This is a magnificent time, allow yourself to feel the great intensity of the Christ consciousness energy by anchoring it into your being now and allowing yourself to exist as love on the Earth.